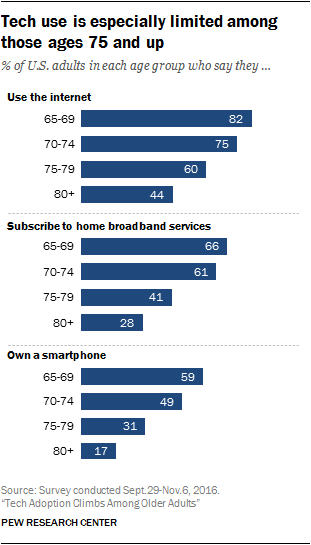 These findings are based on several nationally representative Pew Research Center surveys. 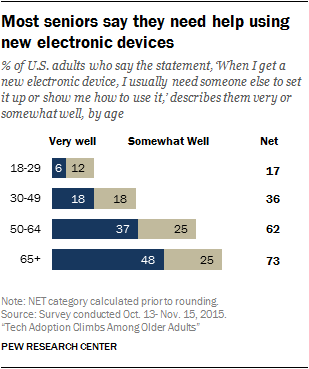 The main findings on technology adoption are from a phone survey of 3,015 U.S. adults conducted Sept. 29-Nov. 6, 2016. The margin of sampling error at the 95% confidence interval for results based on the total sample is plus or minus 2 percentage points. Details about the other surveys used in this report are available in the methodology. 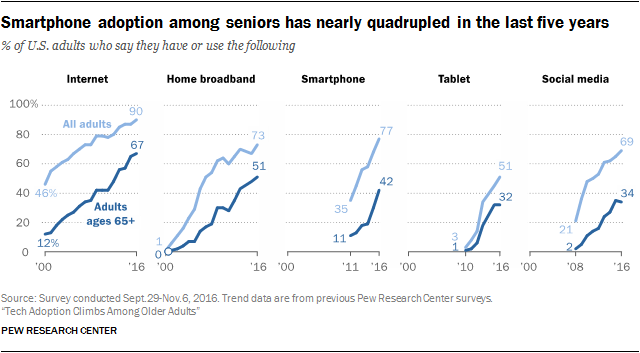 The terms “seniors”, “older Americans” and “older adults” are used interchangeably in this report to denote adults living in the U.S. who are ages 65 and older.